Alias|Wavefront's Richard Kerris, director of Maya Technologies, has left the company. Alias|Wavefront makes industry-leading 3D modelling and animation application, Maya. Macworld UK has also learned of eight additional departures from the company. These employees have not yet been named. Macworld understands that the Maya Macintosh development team is still "hard at work" producing the OS X version of Maya. 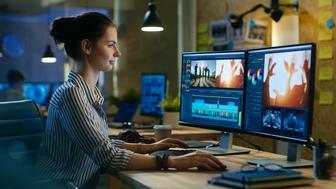 Kerris (pictured) has become synonymous with Maya for Macintosh, and industry watchers expected him to announce the official launch of Maya at Jobs’ July 18 opening keynote at Macworld Expo New York. Maya’s OS X advantage Kerris appeared on stage with Apple CEO Steve Jobs at Macworld Expo San Francisco 2001 to show-off Maya for Mac OS X . This professional 3D animation and effects package was tool of choice for every film nominated for an Academy Award this year, Kerris claimed. The company's decision to bring the application to the Mac was first announced by him during last year's Apple Worldwide Developers Conference. Speaking to developers on the decision to move to the Mac, Kerris said: "If a studio has custom Unix-based tools, with their own ways of doing things, their own pipeline, they’re going to want to be able to customize a Mac with Mac OS X the same way they’ve done with Maya and have it fit into their world. They may not want to have to go through the interface, preferring their own direct way of doing things. In the past they wouldn’t have been able to do that. Not to the extent that Mac OS X will give them." Nothing else on the planet Kerris was last seen at February’s Macworld Expo Tokyo, announcing that Maya had entered beta testing. He said: "Alias|Wavefront has developed many of Maya's unique features with the needs of traditional 2D graphics professionals in mind." 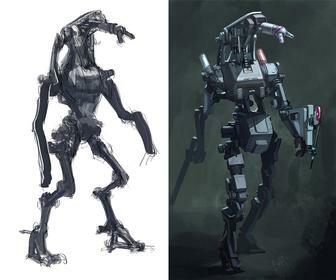 Glancing at the features, he said: "2D and 3D artists alike will feel right at home with the powerful brush-based techniques of Maya Artisan and Maya Paint Effects. Maya on the Mac allows artists to paint 3D elements, modify and animate them all with a brush-based tool. There simply is nothing else on the planet that can do this." Video star Kerris has over 15 years experience in the computer graphics industry. In his early years he worked as a music-video producer. In that time he worked with acts including The Cars, Duran Duran, The Stray Cats, and more. He has been a product manager at Pixar (CEO: Apple’s Steve Jobs), and was responsible for product development at Electric Image. His work at Alias|Wavefront included managing the entertainment division of the company. His resume on his former company's Web site says: " He brings hands-on experience for both the creation and publication of video and digital graphics content as well as the organizational aspects of providing comprehensive tools for digital artists." The company released Maya for Windows, IRIX and Linux during the Electronic Entertainment Expo last month. SGI sidelined It's possible that the nine departures are attributable to cost-cutting in an attempt to boost profits and meet expectations in a softening market. Alias|Wavefront's parent company Silicon Graphics appears sidelined on Wall Street. Its shares currently stand at a $2.19, falling from a high of $5 on September 2, 2000. Analysts recommend investors hold on to the stock, but consensus predictions expect little uplift in share value until June 2002.